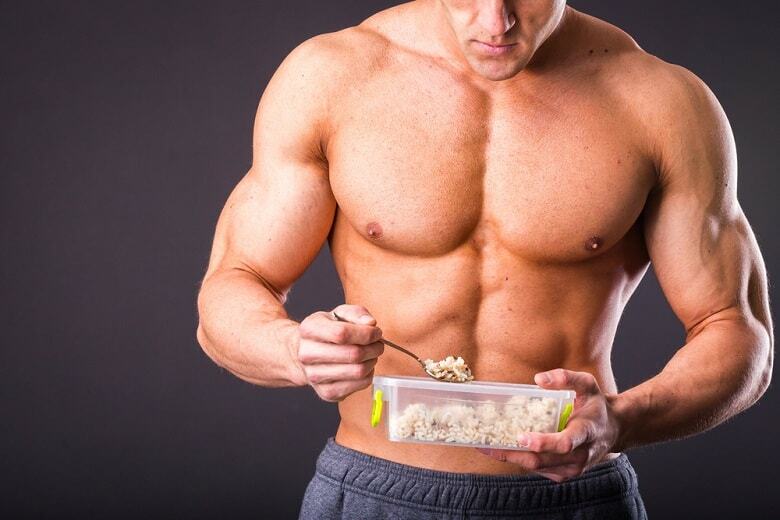 Would you like to Know what to Eat to Gain Weight and Build Muscle FAST? 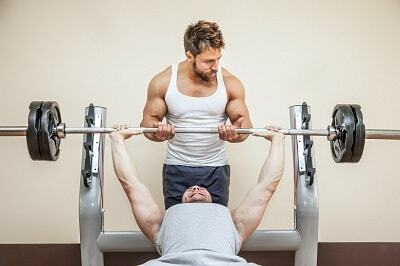 In this article you will Find TIPS that will Help you Bulk Up like a Pro. For a woman, being smaller is almost never an issue or a problem. For a man, however, being small, especially despite efforts to bulk up can be embarrassing and frustrating. In a time when there are now more people who are obese or overweight than ever before, what to eat to gain weight seems like a weird thing to be concerned about. The thing is, there are some people who have very high metabolism who really do have a hard time putting on weight and muscle mass. Some people might automatically think that if someone wants to gain weight all they need to do is eat a ton of pizza and cheeseburgers. There are two things that are wrong with this idea. First and foremost, this still is not always enough to help people gain weight. The more important thing to consider is that this is a very unhealthy strategy that can have a whole host of unintended, potentially dangerous health consequences. When it comes to foods to gain weight, there are go-to foods and those to avoid. Being underweight is not just a self-esteem issue; it can also be a health issue. There are a variety of potentially dangerous health outcomes that can come as a result from being too skinny, just as there are for being too heavy. To be considered underweight according to the BMI scale, you need to have a body mass index below 18.5. It should also be noted that some people are simply naturally thin, and while the number on the scale might indicate they are underweight, they are truly healthy people. These indices are just guidelines that help to give you parameters to think within. Some of us are not actually underweight, but we would like to be bigger and bulkier, and the remedy to this is the same as you would use to promote healthy overall weight gain. There is a healthy way to add bulk and mass without putting yourself at risk for heart disease, high cholesterol, or diabetes, like you would face if you simply tried to gain weight by eating high-fat, calorie-dense, but nutritionally devoid food products. When you are looking to tailor your weight gain diet, it is important that you don't neglect physical activity. What you are looking for is a diet to gain weight and build muscle. In order to do this, you have to get active, and strength training is an excellent choice for muscle mass building. One thing that a lot of people don't know is that you have to focus on foods to help gain weight and combine this with a good regimen of strength training. You can do yourself a great disservice by not properly fueling your exercises. Not only will this limit the amount of bulk and muscle gain you will see, it can simply make it impossible to put on the weight you want to. It is helpful to think of the food we eat as akin to gasoline in a car. If we put poor-quality gasoline in our vehicles, or let the levels get too low, the vehicle does not work at its optimal level. The same is true of our body and especially when it comes to working out. 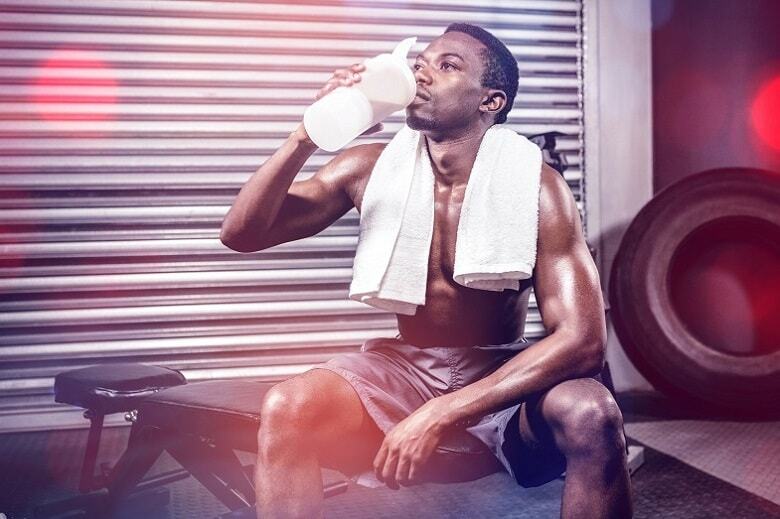 We all know about the importance of hydration when working out, but food is also paramount to getting the most from your efforts, particularly if you are trying to put on extra weight. This means that you have to prime your body for the coming workout and then also fuel your body for recovery after your workout. There are tons of specialty shakes and bars that are formulated for weight gain and are designed to be eaten before or after workouts. However, a simple rule of thumb can help you reach for the right choice when fueling your work out. You want to focus on complex carbs before your workout as this gives you the quality, quickly accessible energy you need for bursts of intense activity. It is recommended that you follow your workout with some sort of lean source of protein. It is also advised that you have a small meal within an hour after working out to help give your body the nutrition it needs to help you build muscle, put on weight, and recover from your efforts at the same time. Whole grains, rice, vegetables, and fruit are a great source of complex carbs, and nuts, beans, fish, and lean meats are a great source of quality protein. 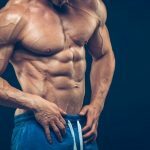 While it is tempting to try to go the junk food route, you want a weight-gain diet for muscle builders that will allow you to put on muscle and bulk in a healthy, sustainable way. This means that you should shy away from foods that are high in fat and calories, salt and sugar, and also devoid of nutrients. Processed and junk foods are like super cheap gasoline and while they will give you energy, it will be of lesser quality and you won't feel nearly as good as you would if you had taken in extra calories in a healthier manner. One thing that must be stated, even though it might seem like common sense, is that you have to increase your caloric intake, sometimes significantly, in order to put on weight and bulk. This means that you will be eating a lot more than someone who is, say, trying to lose weight. Many people note that diets of around 4,000 calories a day is a good goal, in tandem with exercise. If you simply eat cheeseburgers and drink soda, you are likely to gain weight, but your teeth and overall health will likely to suffer. This means you want to focus on nutritionally and calorically dense foods and use these as the staple to a diet to aid in weight gain. As you probably figured, protein is your friend. Not only is protein high in calories, it is also packed with nutrients and amino acids that are vital to healthy weight gain and the development of muscle mass. This doesn't mean you should eat a pound of bacon with every meal though; you still want to consider the amount of saturated fat, sodium, and the like, when choosing good proteins. 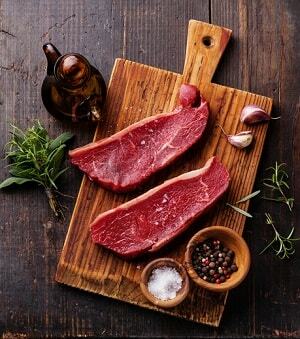 Meat is, obviously, a great way to add a ton of protein and calories to your diet, but it is by no means the only quality source of protein. Seafood and fish, nuts, legumes, and beans are also very good sources of protein that can help you add bulk and are packed with lots of good nutrition, providing healthy fuel for overall health and well-being. Eggs and dairy products are also great sources of calories and protein, but it is important to keep an eye on cholesterol and sodium intake as well. When choosing dairy products, get full-fat products as these have more protein and calories than their lighter counterparts. Nut butters and nut dips like hummus are another great way that doesn't involve meat to get a lot of calories, good fat, and protein in your diet. You can use these liberally to add a hefty dash of calories and lots of flavor. There are tons of different kinds of nut butters so don't limit yourself to plain old peanut butter; try the variety out there and find out which one is your favorite. Look for natural or no-sugar added nut butters as these will be lower in refined sugars and unhealthy oils. Unlike things like protein-only diets or those that have you avoiding carbs, if you want to put on weight, you cannot be shy with the carbs either. Good fats are also your friend, but you do still need to be mindful of so-called bad fats like saturated fats. You will want to eat a wide variety of food and a lot of it. Also, intersperse these meals with energy-rich snacks and beverages that have added protein as well. This multi-faceted approach is a great way to really increase the number of calories you get in your diet, but in a healthy way that will not lead to other negative effects. Many people are shocked to find out just how many calories a super fruity smoothie has in it, but these are good-quality, tasty carbs that give you fast energy when you need it most. The fruit has fructose, which is unrefined sugar, so while yes, fruit is high in sugar, it's a bit like akin to “good fats”—these are “good sugars.” Tropical fruits are especially high in phytonutrients and give you fast energy. Protein is very filling, but it is important and truly vital if you are struggling to put on weight and need to add bulk. This can mean that we need to get as much protein as we can, wherever we can. There are a few great ways that you can add protein (and also calories) to your existing diet to help give yourself that extra fuel you need to put on weight and bulk. There are a variety of protein powders, from soy to whey protein, that are a great way to put on weight and additional bulk. These powders come in a variety of flavors and can be added to milk, juice, water, and even put in yogurt and other foods, giving you an additional boost of calories and protein while you hydrate. These powders are an easy way to “sneak” more protein into your daily consumption that you could get from food alone, and can be very helpful in jump starting your weight gain. Protein bars are not only great between-meal snacks, they can be a good way to keep up with your calorie-rich diet even when you are on the go. Protein bars can have as much as 20 grams of protein in a single bar, ranging from 200-400 calories. Having these for snacks or treats and keeping them with you while you are on the go is a great way to add even more healthy protein and calories to your diet. When starting out on a diet that has weight gain and bulking up in mind, it is recommended to keep a calories-ingested versus calories-expended journal. Most people who want to put on weight actually overestimate the number of calories they take in on a given day or underestimate the number of calories they expend on an average day. No matter how much you eat, if you are expending more calories in your daily activity than you consume in food and drink, you will not gain weight and you will find your ability to gain muscle mass pretty difficult and slow going. 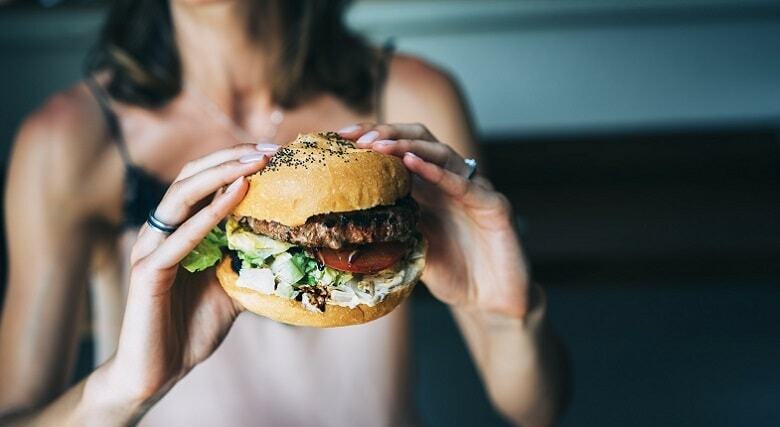 This doesn't mean to forget exercise and take up shop in your local burger joint, but it does mean that you are going to have to make a concerted effort to eat more and to eat more things that are known for promoting weight and muscle gain. You should definitely still exercise as it will help you turn those extra calories into muscle and also help spurn your appetite. It is important that you fuel your workout with foods dense in high-quality, complex carbs, and follow up your exercises with lean protein and yet more carbs. You may have to add between-meal snacks and even sneak calorie boosters into your drinks to really get the results you are hoping for. Protein powders can be added to most beverages and even some foods and gives a nice extra punch of protein and calories along with your necessary hydration. Protein bars, or snacks like nuts, cheese, or bean dips are great ways to get some extra calories in between meals. This guide provides a basic outline of what to eat to gain weight and add mass and how to do so in a healthy way. Even if you've had trouble in the past, it is possible to bulk up and put weight on in a healthy manner. With patience and diligence, you will reach your goals. I enjoyed reading your article. I’m trying to get some muscle mass and I’m searching for good tips on the web. I have always been skinny and now decided to change this. I regularly go to the gym and I’m in the process of changing my diet. Hope to get some visible results soon. Hey buddy. Thanks for reaching out. Go for it, bro! With a persistent action, you will be able to get the results you want.